Approximately 500,000 truck accidents take place each year according to the United States Department of Transportation. 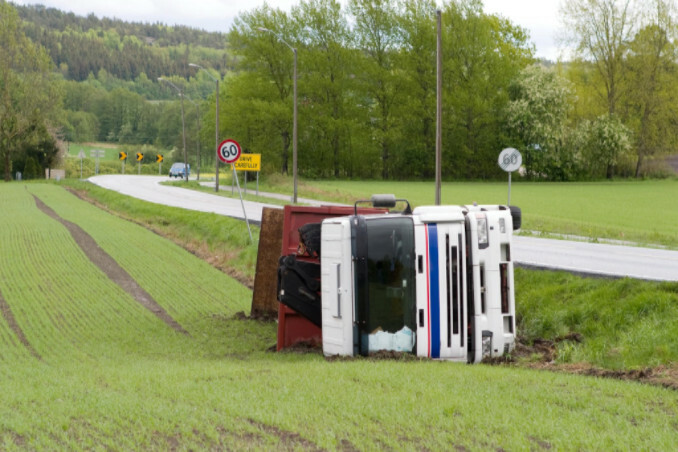 In addition, truck accidents result in a person being injured or killed every 16 minutes. There are various reasons why these devastating accidents can occur, including the fault of another vehicle or carelessness of the truck driver. Common causes of truck accidents are categorized by who was at fault: the truck driver or another motorist. Unrealistic demands and expectations put on truck drivers regarding their schedule. Inadequate training and poor education regarding safety issues. Systems of compensation causing truck drivers to drive faster than necessary despite all the risks involved. Driving in the middle of two large trucks. Driving in the “no zone” section of a truck where you’re in their blind spot. Unsafe passing with insufficient headway, or passing so close and being blown out of position by air turbulence. Pulling out in front of a truck and not accelerating quickly enough. The drivers of delivery and commercial trucks need to be more aware of the dangers these big rigs can cause on the road. But in the same token, other drivers also need to be cautious when they are in the presence of truck drivers. Even the smallest mistake, such as failing to yield, can cause a fatal truck accident.